• In the Bible, a giant Philistine warrior who was slain by David with a stone and sling. • Someone or something that is abnormally large and powerful. A Viking-inspired wooden coaster named InvadR is coming to Busch Gardens Williamsburg in 2017. Hold onto your horned helmets, because Busch Gardens Williamsburg is building a Viking-themed wooden roller-coaster for the 2017 season. After months of teasing the attraction through web videos and social media posts using the hashtag #BGProject2017, Bush Gardens Williamsburg finally unveiled details on the ride, which will be the Virginia park’s first wooden coaster. The coaster will be built in the New France section of the park, and the storyline will pit fur trappers against invading Vikings who threaten to pillage their village. 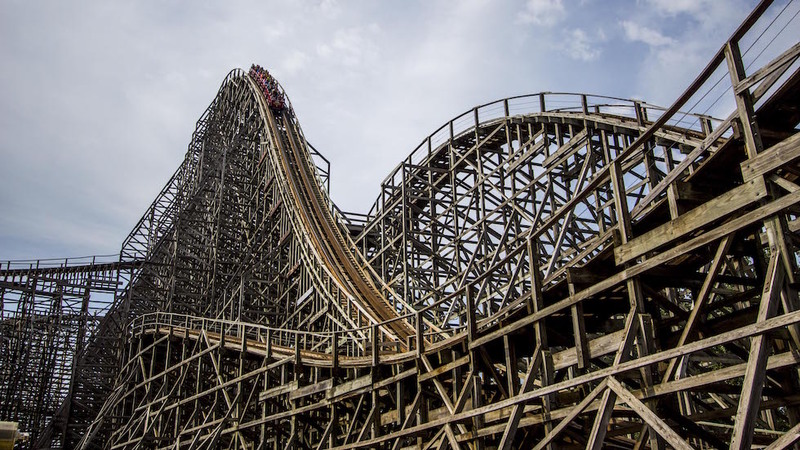 On the technical side, the wooden coaster will boast a 74 foot drop and 9 airtime-inducing hills, reaching a maximum speed of 48 miles per hour. 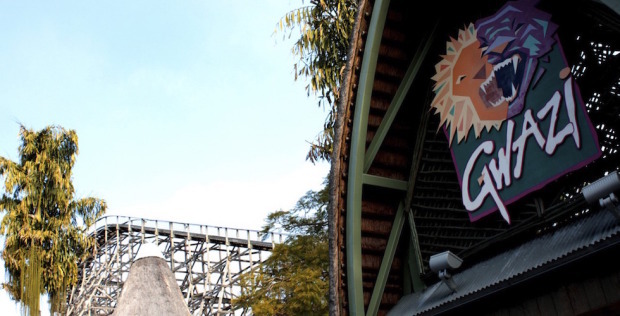 One thing that isn’t yet clear is the new ride’s name, which Busch Gardens Williamsburg has left in the hands of its fans. From now through April 1, you can cast your ballot online for Viking Raider, Battle Klash, or InvadR as the new coaster’s name. 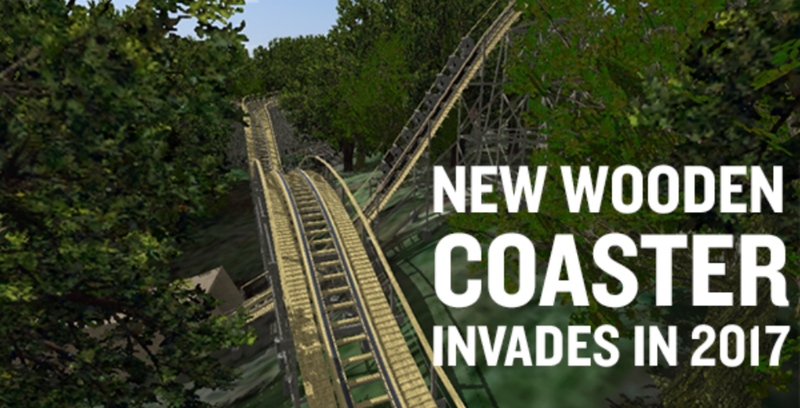 Update 4/8/2016: It’s now official, Busch Gardens fans have selected InvadR as the new coaster’s name. Fans will be able to vote online for further elements of the attraction in the coming months. Lightning rods are usually things to avoid. 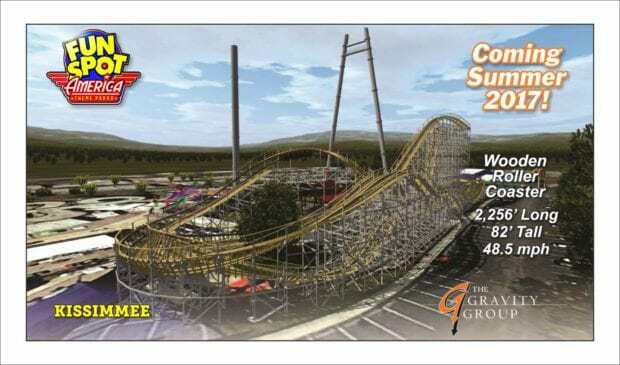 But if you like fast moving roller coasters, you’ll want to get up close and personal with the one coming to Dollywood next year. Dollywood has announced Lightning Rod, both the world’s fastest wooden roller coaster and the world’s first launching one. Set to roll to the starting line in March 2016, the thrilling $22 million ride also marks the single largest attraction investment in The Dollywood Company’s history. Themed after a tricked out 1950s-era hot rod, Lightning Rod launches riders from zero to 45 mph more than 20 stories up its lift hill to one of the ride’s first airtime moments. At the crest of the hill, riders face twin summit airtime hills before tackling the first drop. Lightning Rod races down the 165-foot drop and propels guests along its 3,800-foot track to a top speed of 73 mph, the fastest speed for a wood coaster in the world. Located in Dollywood’s Jukebox Junction, Lightning Rod rockets riders around its massive wooden structure on an adrenaline-charged lap through the trees in the hills and valleys surrounding Dollywood. During the ride, guests will experience nearly 20 seconds of airtime. The coaster train is comprised of 12 cars, carrying two passengers each, for a total of 24 people per train. Lightning Rod is the newest member of The Dollywood Company’s collection of attractions. In March 2012, Dollywood opened the $20 million Wild Eagle, the country’s first wing coaster. The company introduced RiverRush, Tennessee’s first and only water coaster, at Dollywood’s Splash Country in 2013. 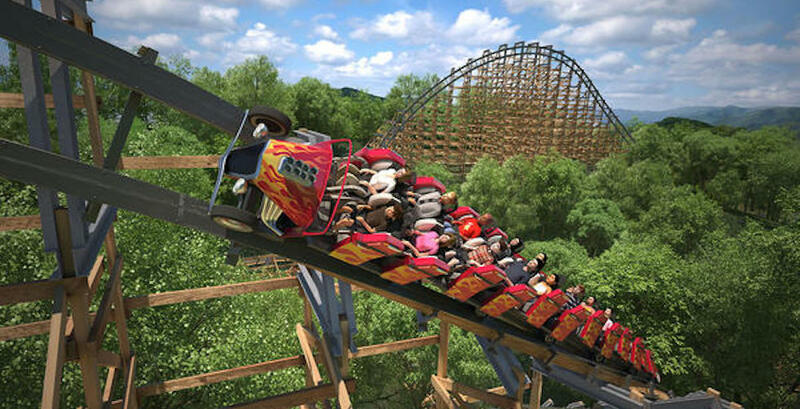 FireChaser Express, the nation’s first dual-launch family coaster, was added at Dollywood in 2014. 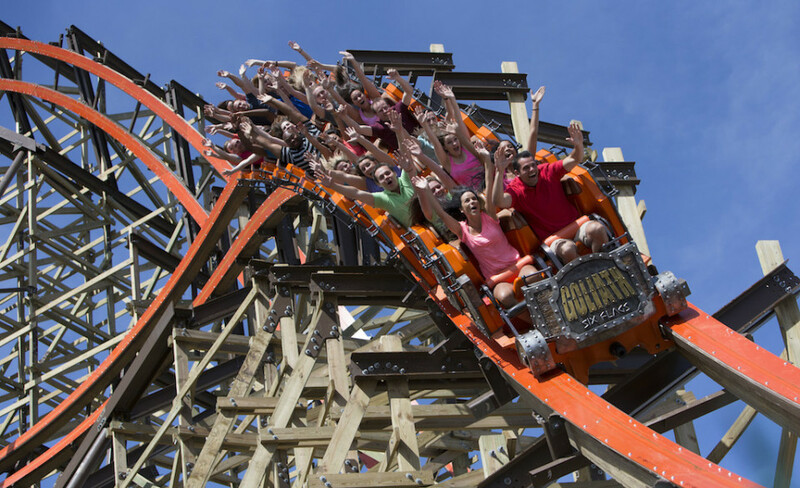 Dollywood mainstays Thunderhead, consistently among the world’s top five wood coasters, Mystery Mine, Blazing Fury and Tennessee Tornado round out the park’s list of roller coasters. For more information about Dollywood’s attractions, visit Dollywood.com.